Employers and employees are equally responsible for maintaining a culture of job satisfaction and happiness in the workplace. Some of the most common strategies for employers include creating a line of dialogue and a sense of transparency between management and employees, incorporating work/life balance into workers’ schedules and enhancing workplace culture through team-building exercises. And, since 92 percent of workers agree that employees should seek their own career development opportunities (according to Spherion’s latest Emerging Workforce Study), workers must be accountable for taking charge of their own work path to obtain job satisfaction, too. However, one of the lesser known ways to facilitate employer and worker effectiveness, productivity and success in the workplace is, for employees, distinguishing the difference between a job and a career and determining which mindset they have. And for employers, if they want to encourage worker productivity and engagement, they must understand their workers’ mindsets and work goals. 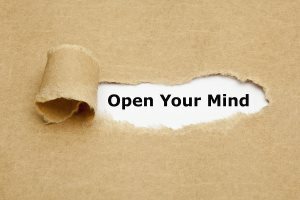 Being in either a job or a career is equally valid as workers’ mindsets will vary based on their unique goals and needs. Timing also plays a role in whether a worker is in a job or career mindset. And many workers may find themselves in transition between the two, especially if a worker is looking to make a change either professionally or personally. The first step is to determine which mindset you’re in and then how to make the most of your opportunities. There are unique characteristics of both jobs and careers. Typically, jobs are short-term and usually don’t require outside training or certifications, while careers are usually long-term with a focus on work in one specific industry. Both jobs and careers have benefits and serve different purposes in a worker’s life; it’s simply about what works best for them. For example, one of the benefits of having a job mindset is that workers can usually more easily choose work that offers more flexibility to meet their personal needs. In contrast, one of the main perks of being in a career is that workers have the ability to set longer-term goals and achieve milestones in their line of work. Because jobs and careers are different, knowing what each path entails can help workers determine if their current trajectory is the one they want to be on to meet their goals and needs. For example, if a worker holds a job, but has a career mindset, their current work life may be frustrating to them. The same holds true for workers in a career who want to be in a job. Employees who are consciously aware of their goals and mindset can properly assess if their needs can be met in their current work and determine if there are better opportunities to reposition or realign themselves in another role to achieve work success. Knowing the difference between a job and a career not only benefits workers, but also helps employers and HR professionals better understand their employees. Once a worker determines their goals and mindset, they can effectively communicate that to their supervisors. As employers and HR professionals recognize that everyone has different goals they want to achieve in the workplace, they can create an environment that supports workers’ individual goals, which can include sharing career development paths, implementing regular supervisor/employee check-ins and designing specialized programs for those who possess a career mindset. Often, workers are unaware of the tools and resources available to them in their work. Employers can easily improve in this area for little to no cost by developing assets and instilling practices that will be useful for employees with all types of mindsets. In an effort to help guide the conversation on job satisfaction and work goals, Spherion has developed a “Job or Career?” quiz at BoostYourWork.com to help workers figure out if they have a job or a career mindset or if they are in transition. Finding out what path suits you will not only allow you to identify the right niche or position in your career, but it will also help you become more engaged and productive as an employee. Once you establish which work mindset category you fall under, take the initiative to speak with your supervisor or local HR representative on how you can incorporate your goals into the workplace. With the proper insight on how to maximize your work experience, working will be more enjoyable and more rewarding both professionally and personally. Sandy Mazur is a division president of franchise and license operations. As a division president of franchise and license operations, Mazur is responsible for the strategic leadership and support of an extensive base of franchise offices and licensees, as well as for expanding the franchise program into new U.S. markets. Prior to this post, Mazur was responsible for product development and end-to-end product life cycle management for an extensive portfolio of recruiting and staffing services. A seasoned executive with broad-based experience in the staffing industry and a keen understanding of the U.S. workforce and the issues that drive performance, Mazur is also a compelling and articulate speaker. She has shared the findings and implications of the Spherion Emerging Workforce®Study with numerous business groups.